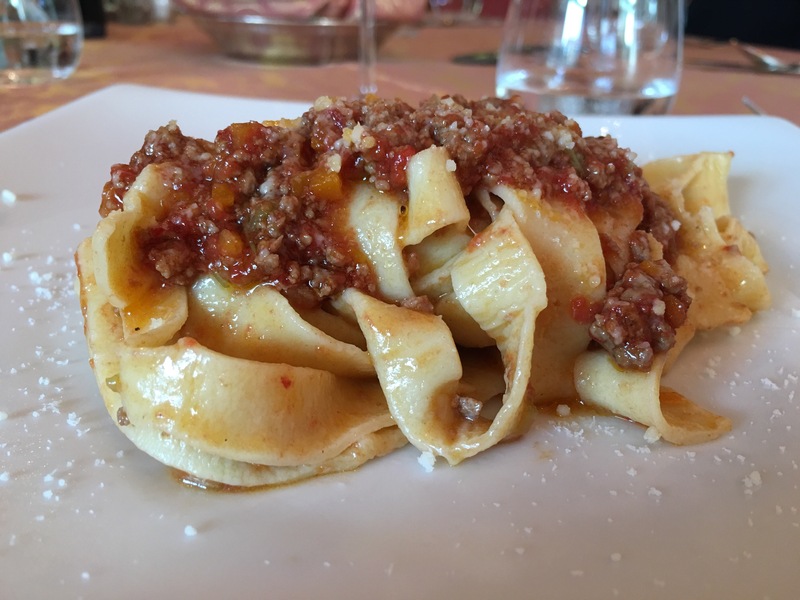 A fettuccine lesson in Italia – Hurried Home Chef! 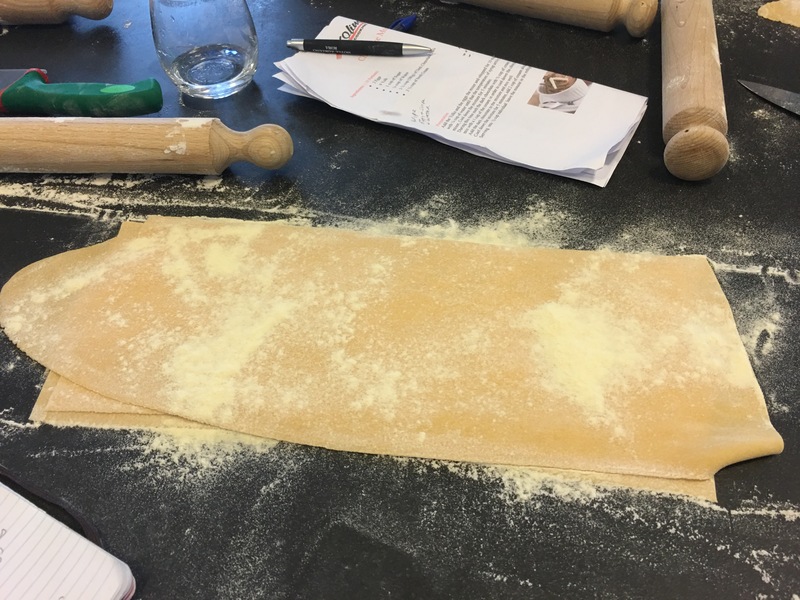 Learning how to make pasta from an actual Italian chef was a treat! 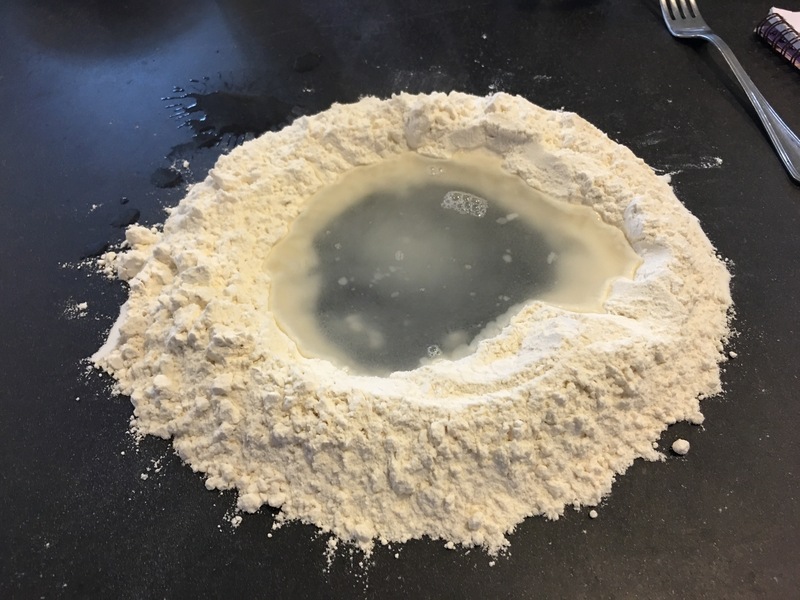 We used about 1 cup of (00) pasta flour, and 1/2 cup of semolina per serving, which could really be enough for two people, but you’ll have to judge the portion size. Make a well and add a bit of water, take a fork and blend it enough to keep the well intact but you have the look of milk. 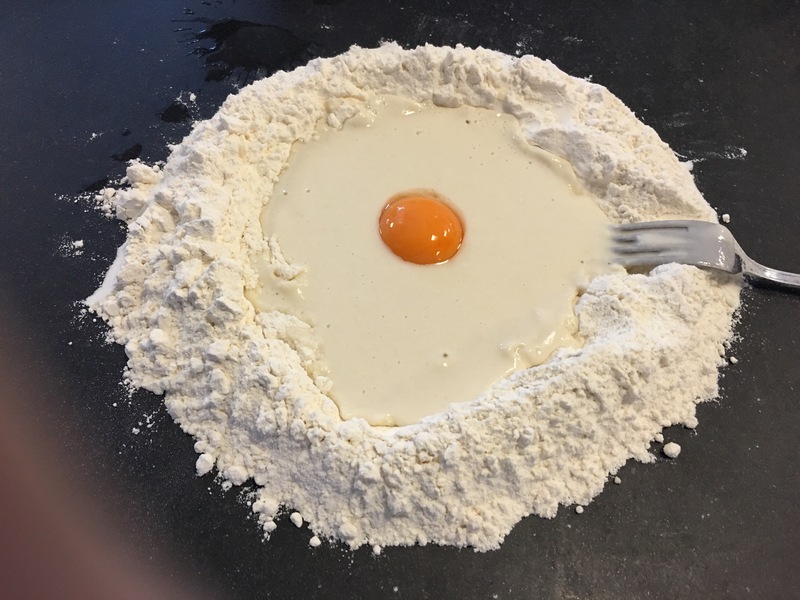 Add an egg yolk and mix again. 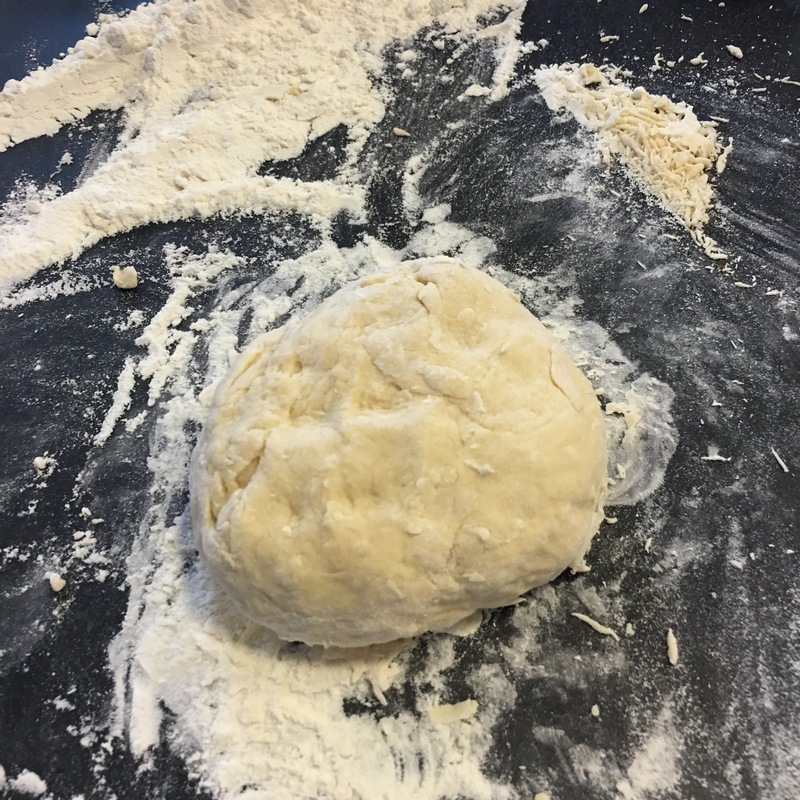 Form a dough that you can knead firmly. Knead, knead, knead, it may actually hurt your hands. 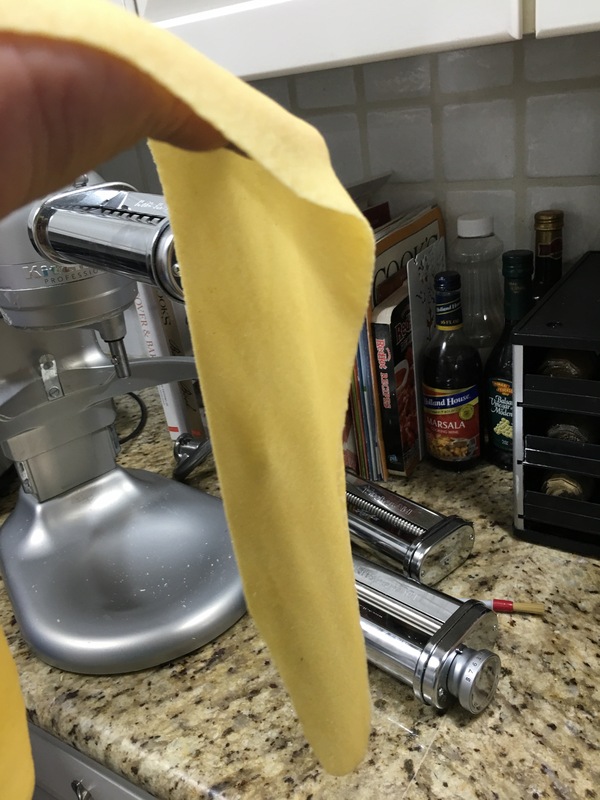 You will need a pasta maker for this part, divide into 3, roll out into a long oval, keeping in mind the opening size of the pasta maker. Start at the widest number, usually 1, and pass it through, increasing the numbers as you go, we went up to about 6. 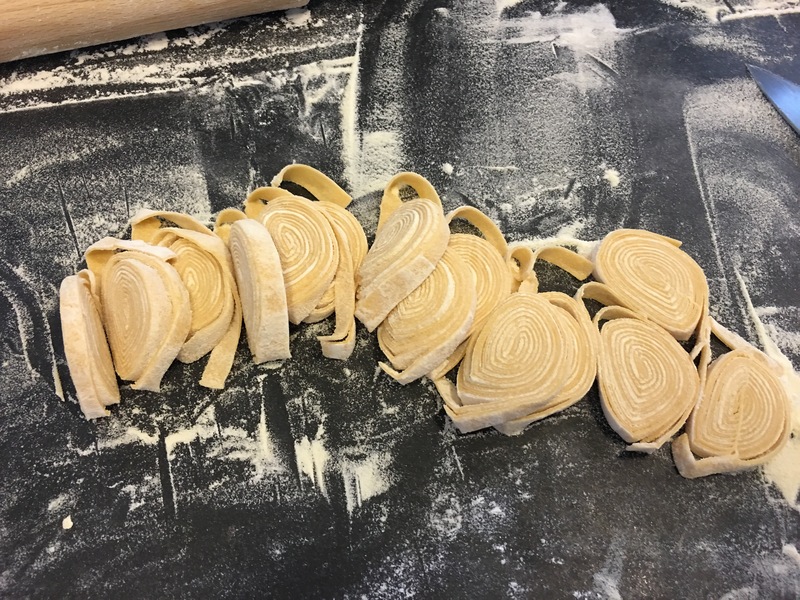 If you have attachments, change them and cut your noodles. 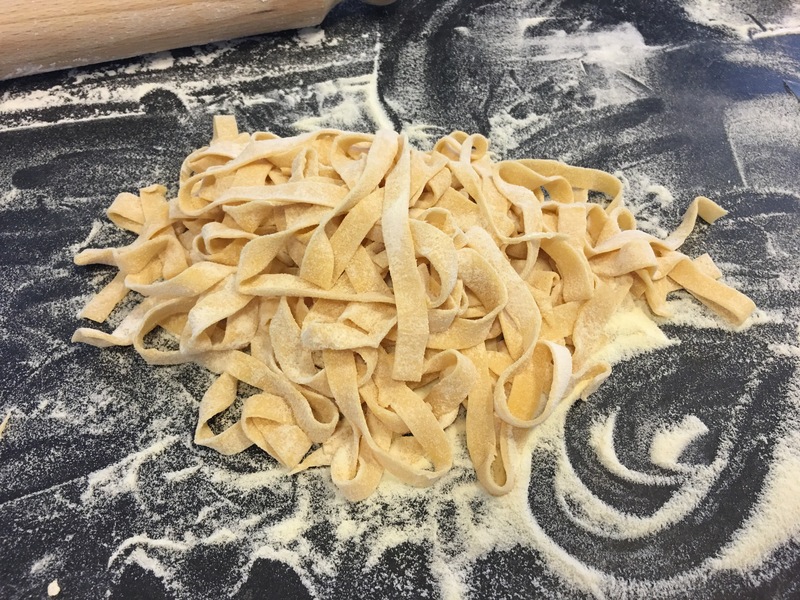 Lay them out and dust with more semolina before cooking. 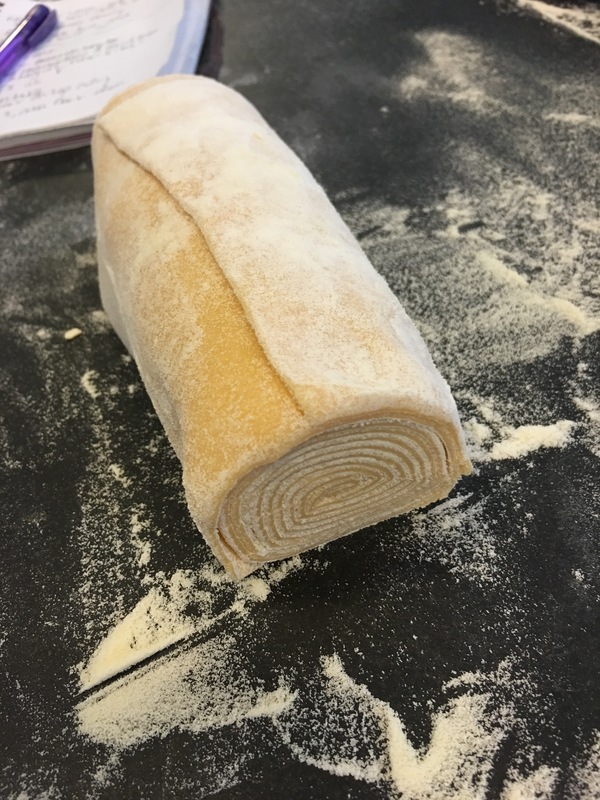 If no cutting attachments, then cut into three, with a ton of semolina between the layers, and roll tightly. Then carefully cut to your desired size, just keep them all the same. 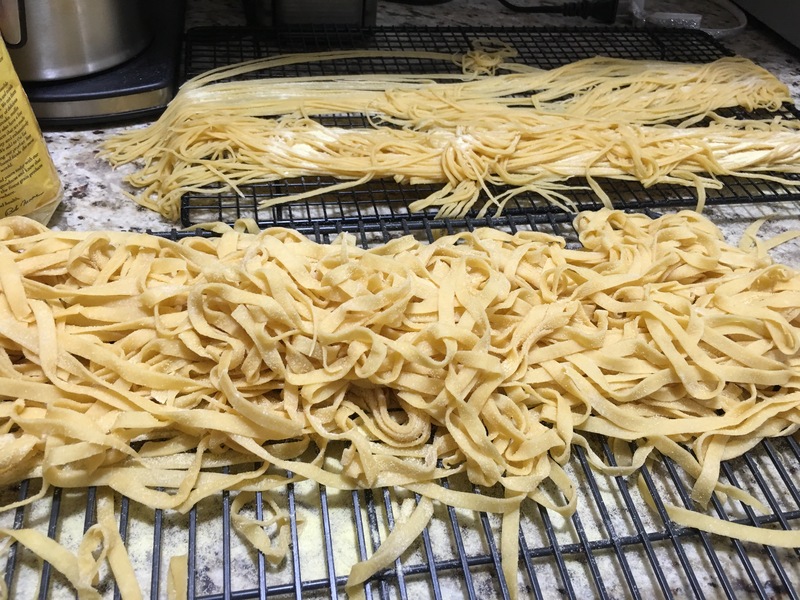 It was so easy since we had a pasta machine. These noodles cook quickly, so have the fam ready at the table eating salad before the last step. Boil for 2-3 minutes, when cooked to your liking, take and place directly into a pan with the sauce, toss around and then plate. Use a twisting motion to get that nest look. Top with freshly grated parmigiana and basil if you’d like.